By far the most outstanding feature on the S6 Edge is the display which gently curves over two sides of the device. With a 5.1 inch screen and using Samsung’s Super AMOLED technology, the dual-curved display, with a pixel density of 577ppi, is very sharp providing rich colours and fantastic contrast ratio. The Samsung Galaxy S6 Edge has a 16 megapixel rear camera with an aperture of f1.9 giving excellent results even in low light conditions. The device features optical image stabilisation, autofocus and LED flash, together with touch focus, face detection, AutoHDR and Panorama. The device also boasts a 5 megapixel front facing camera for selfies and video calls. 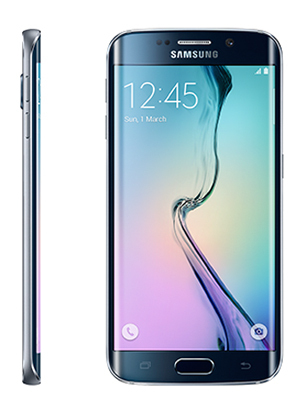 Samsungs S6 Edge measures 5.59 x 2.76 x 0.28 inches and weighs 4.66 ounces. Made of glass and metal, the front and rear panels are Corning Gorilla Glass 4 and the metal frame gives the device a premium feel. The S6 Edge has a new fingerprint sensor in the home button that no longer needs a swipe. The volume and power buttons are found in the usual positions to the left and to the right, both embedded in the metal frame. The S6 Edge runs on the latest version of Android 5.0 Lollipop and is overlaid with TouchWiz . Samsung has also added its pay platform which is powered by LoopPay. The device has a non-removable Li-Ion 2600 mAh battery with fast charge, meaning a ten minute charge will give you up to two hours of HD movie playback or up to 4 hours of normal use. With 3 GB of RAM, the device the device arrives with an infrared heart rate monitor and integrated support for both Qi and PMA wireless charging. 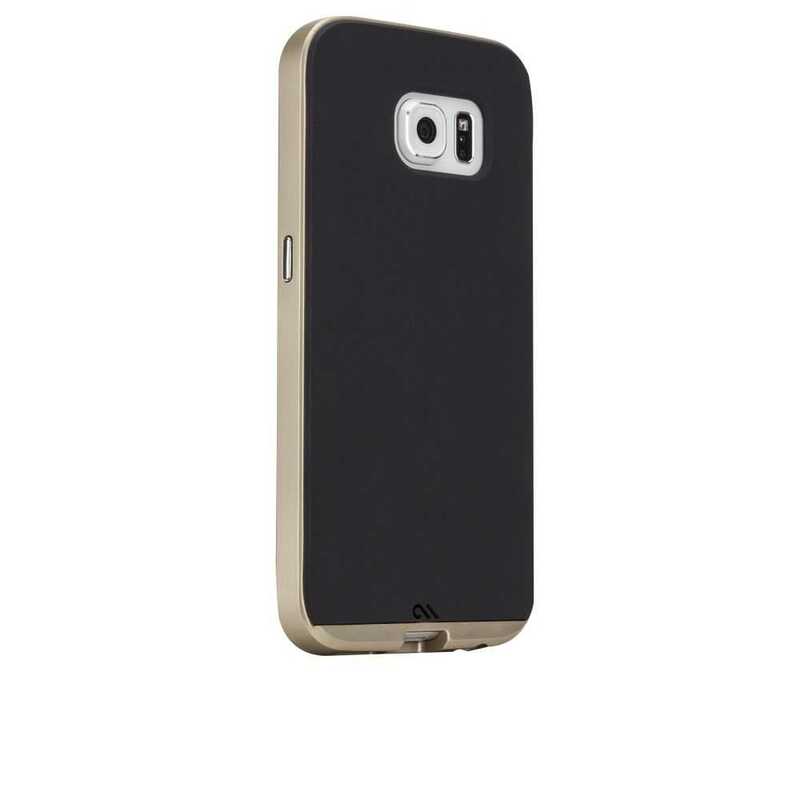 Case-Mate Slim Tough Case for Samsung Galaxy S6 In Stock Now!